Posted September 4, 2014 by Beechmount Art Studio, Lackagh in Features. 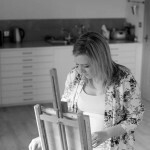 A Galway mother of two with a passion for art has taken the plunge after almost a decade of teaching, and opened her new studio in her native village. 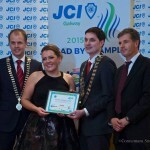 Aisling Kearney Burke has been working as an artist and art instructor with GRETB (formerly County Galway VEC) for the last eight years, while also holding down other employment before she decided to fulfil her life-long dream and open her own art studio. 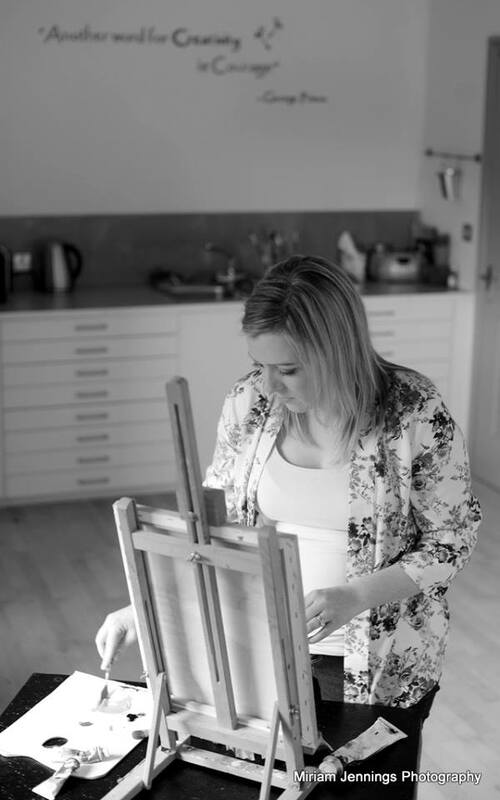 The purpose-built Beechmount Art Studio is located near Lackagh village beside Turloughmore GAA grounds, and to celebrate her big step she is holding an Open Day on Saturday week, September 13th from noon to 6pm. And she readily acknowledges it’s a big step. “Like many students who have qualified with an educational degree, it takes time before they manage to build up the courage to start their own business,” she says. 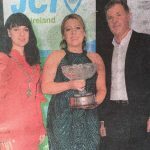 But her Beechmount Art Studio is not just about learning how to draw or paint—Aisling says it’s also about helping people gaining confidence in their own creative abilities, in a relaxed and positive environment. “I believe everyone can paint; it’s just a matter of figuring out what type of painter you are. I wanted to create a space where everyone can feel comfortable and enjoy exploring their creative talents, with the added benefit of having someone to guide you along the way,” she says. 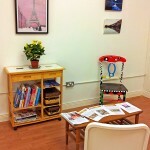 Beechmount Art Studio offer art classes, parties and workshops for both adults and children. They cater for everyone from beginners to improvers to advanced students, where the focus is on the individual’s strengths, style and ability, which is encouraged at your own pace. Classes are fun and informal, where the emphasis is on exploring the students own unique talents, which Aisling and her team will work with the person individually to fulfil their true artistic potential. The new term is starting the end of September, with drawing, acrylic and oil painting courses for adults and the arty animals art courses for children and teenagers. 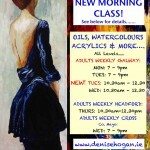 For further information, contact Aisling on 087 9385026 or email akearney-burke@gmail.com or BeechmountArtStudio.com.